Explore quality fenestration components and fenestration products with the Frank Lowe fenestration team. Contact us today for custom fenestration solutions. For more than 60 years, Frank Lowe has been the premier provider of quality fenestration components and fenestration products. Since 1955, Frank Lowe has been partnering with businesses across all markets to produce state-of-the-art industrial manufacturing solutions. We offer dedicated industrial contract manufacturing teams who specialize in providing comprehensive services to a variety of markets.From best-in-class materials, customizable products, and a full suite of industrial manufacturing services, we provide whatever it takes to help your business met its objectives. Regardless of the technical or logistics demands of your project, we will work with you every step of the way providing customizable distribution services and support to ensure the contract die cutting is completed and delivered on time, within budget, and to your exact specifications. Today, we use the modernized definition of fenestration, which includes both outdoor and indoor windows, skylights, doors, or virtually any other opening designed to provide passage or emit light from one space to another. Whether you're manufacturing windows, doors, skylights, or any other related product, we are an experienced, flexible, and customer-focused custom manufacturer who has the expertise and state-of-art-equipment to respond to your unique needs. We pride ourselves in being the one-stop-shop for custom fenestration products and fenestration components. At Frank Lowe, we offer the capabilities to quickly and efficiently produce fenestration component orders of all sizes. We also offer fully customizable distribution services designed to meet the exact needs of your business or project. When you partner with Frank Lowe for fenestration components, we'll help you build a better product. At Frank Lowe, we understand that every fenestration product is unique in regards to application requirements, design, unit cost, manufacturing methods, as well as performance. 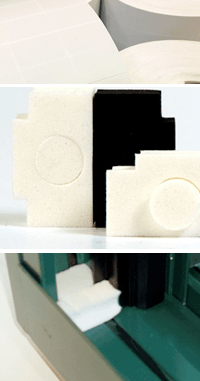 As a result, we offer a vast range of fenestration sealing products. Our experts can work with you to develop the most cost-effective solution. Explore all of your fenestration manufacturing options, including ones your team may have never considered. Pursue the feasibility of each option through cost-benefit analysis. Create the best fenestration components or fenestration products to enhance your application and/or process. Let's talk. We're ready to listen. Contact Frank Lowe today to learn more about our custom fenestration components and custom fenestration products. Not sure about the exact materials or specs required for your fenestration application? Let's chat. We'll help you find the right solution. Are You Using the Right Fenestration Products in Your Window? Let's talk. We'll help you choose the right fenestration materials.